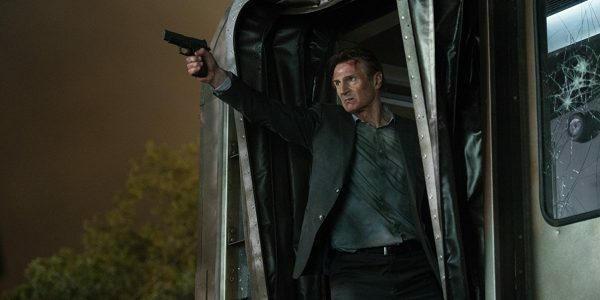 "Something, something, particular set of skills"
The Commuter is a preposterous action thriller that wastes Liam Neeson's particular set of leading man skills on a plot far too ridiculous to enjoy. Michael MacCauley (Neeson) is an insurance salesman who's taken the same commute to work for the past ten years. His family is strapped for cash and things take a turn for the worse when one day he's unceremoniously fired. On the train back home, Michael meets a mysterious woman (Vera Farmiga) who gives him a strange offer - $100,000 if he can find a passenger on the train that doesn't belong. He accepts and quickly realizes he's in over his head - now his life and the lives of his family and all the passengers on the train are in danger. The premise is already a bit of a stretch, but there is a hint of a good idea in there - a regular commuter, Michael has to use his familiarity with the train and its passengers to figure out who he's looking for amongst a colorful cast of characters. It could have been a gripping mystery, but the story quickly gets, hmm, derailed. The whole thing is simply too stupid and unbelievable. 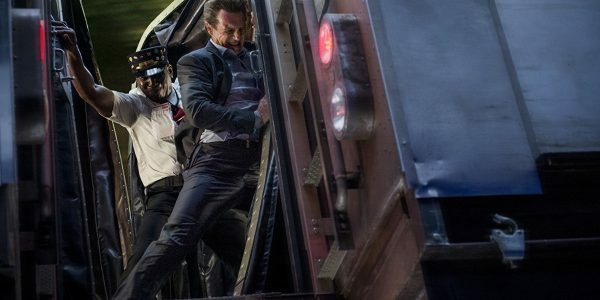 The villains not only seemingly have eyes and ears everywhere on the train, they can also deliver messages to Michael, kill passengers and civilians, hide dead bodies and even sabotage the train itself - but they can't figure out the identity of the passenger they're looking for on their own? If this was a plot specifically designed to screw with Michael, then maybe the absurdity of it could have been excused, but The Commuter makes it abundantly clear that he's a pawn and a patsy in a much larger scheme. You quickly start to wonder why the villains would bother to go to such lengths to get Michael to do this thing for them given both the resources at their disposal and how important finding this one passenger actually is. 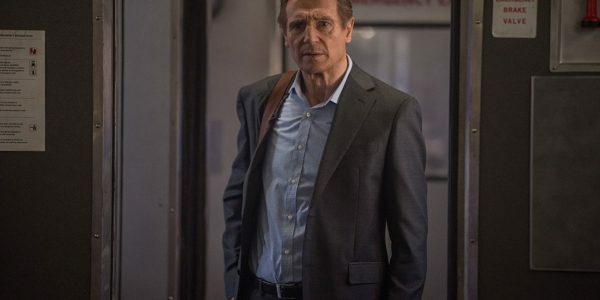 The Commuter tries to connect the dots, but the end result is one of the sloppiest, most predictable twist ever. This is one of those stories where the more you find out, the less plausible and coherent the whole thing seems. That being said, it's not terrible. Jaume Collet-Serra knows how to keep your eyes glued to the screen and Liam Neeson is as solid and charismatic an action lead as ever. The movie opens strong - a montage that makes clever use of lighting and editing to show us Michael's daily routine, his relationship with his family and his financial struggles over a long period of time. There are a few really good jokes scattered throughout. The handful of fistfights are quite good and engaging - even the big train derailment sequence is a fun if silly bit of spectacle. Had all of that been anchored by a good story, this could have been a pretty darn solid action thriller. You probably won't regret seeing The Commuter, but there's nothing in it that's worth recommending or coming back to it. It's just enjoyable enough to not feel like a waste of time and you might even get a kick out of how utterly absurd its plot twists and turns are.